CLOSEOUTS. 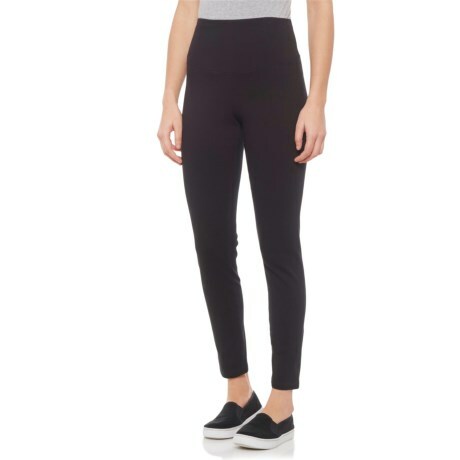 Yummieand#39;s Signature Waistband denim leggings help smooth out your trouble zones with a high-rise waist panel thatand#39;s lined in satin for extreme comfort. Available Colors: BLACK. Sizes: S, M, L, XL.